Gary Numan upstairs at the Opera House, Toronto after sound check, 2017. Through extensive interviews, archival footage and rare imagery, we are introduced to the characters closest to Nash with whom he collaborated, mentored, and inspired. Having left this world making a hefty contribution to Canadian culture, this film shows how and why this outsider artist had such strong international appeal and why his work is still very relevant to a new generation of music lovers today. In production since 2016, And You Thought You Were Normal will be released in 2019. Iggy Pop and Nash The Slash on Meet The Mortals, a Calgary public access cable show, 1981. Martin “Youth” Glover from UK band Killing Joke at his home in London, England, 2018. Cam Hawkins of Canadian progressive rock titans FM . Performance artist Danielle Dax, London, UK, 2018. 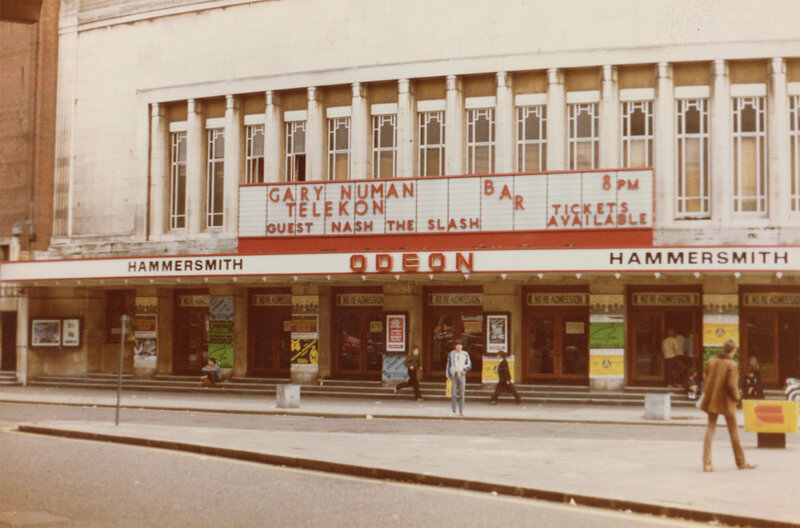 Michael Dent, Nash’s sound man for two decades outside the infamous Hammersmith Odeon, London, during the Gary Numan UK tour, 1980. St. Valentine’s Week Massacre, design by Nash and photographer Paul Till, 1980. 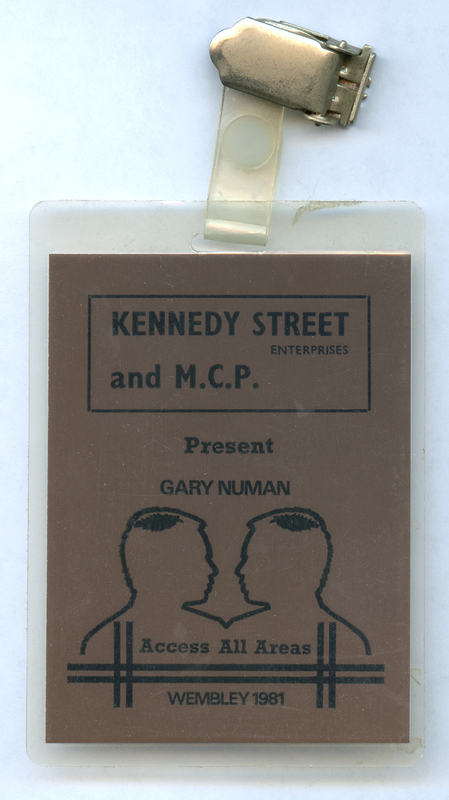 Backstage pass to Gary Numan’s 3-night ‘farewell’ shows at Wembly Arena, where Nash played as a guest musician in Numan’s band, 1981.